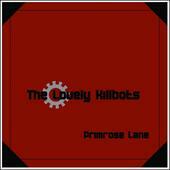 Primrose Lane, the debut LP from Lovely Killbots, stands alone as an enigmatic, quirky art album. The duo combines loose and arty piano and drums for a stunning mash-up of classical piano meets trip/hop drum experiments. Primrose Lane showcases the band’s perfected dark, rhythmic songwriting and marks the beginnings of a strong and ambitious duo.